Each partner who joins your campaign will be assigned a tracking link that they are to use to promote the campaign. 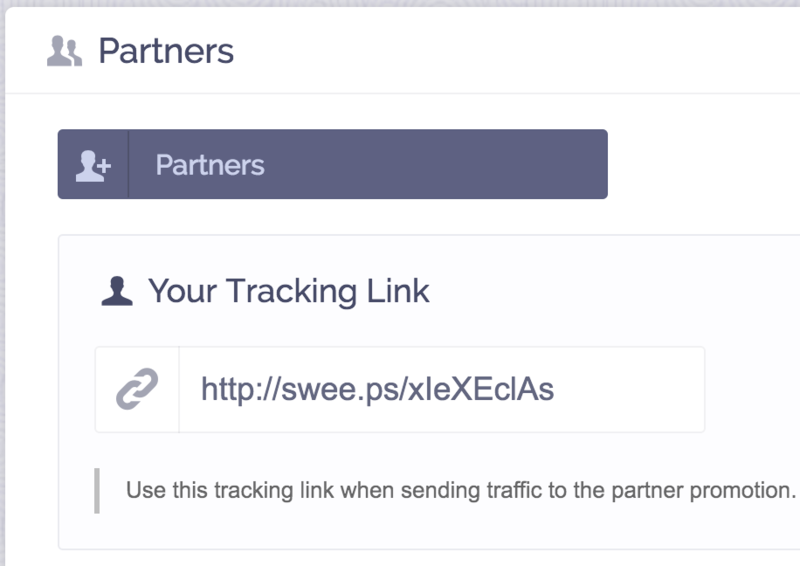 The tracking link can be found under the partners tab in their dashboard. If you do not want to invite a brand into the ViralSweep platform, you can simply go to Analytics > Tracking URLs and generate a tracking link to give to them. Still have questions about tracking performance? Simply click the support or live chat icon to get in touch with us.